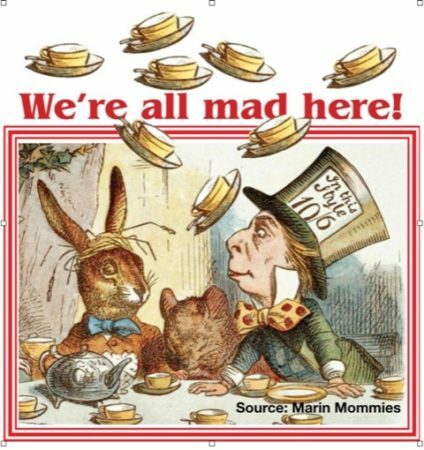 So this has been a really fine tea party. The king and queen and their friends, the bankers plus the top 0.1% of the population lived in luxury. And ordinary people were totally unaware that they were liable for this debt. Of course it wouldn’t have mattered if they knew, because they could never repay it anyway. Wonderland slowly ran out of money over a 100 year period. But the debt grew much faster when in 1971 the king, (aka Nixon), decided to replace gold with paper money. Until then all money issued was backed by gold. But the king and queen and their banker friends loved the new era when they were no longer fettered by the discipline of running a balanced budget and could instead just print pieces of paper that they called money. This was a great period for the king and queen and their close friends. Since they got the money first, whilst it still had value, they could buy what they wanted. Once it reached ordinary people, the paper money was already debased and worth a lot less. And the taxes of the people had to increase from virtually nothing 100 years ago to 50% or more if all taxes were included. This was necessary to finance the deficit spending and service the debt. The king and queen rewarded their banker friends generously for this ingenious invention. Rather than using expensive gold as money, they could just print whatever they wanted at zero cost. They never understood of course, that if you print money at zero cost, it has zero value. In the end there weren’t even enough tax revenues to pay the interest on the nation’s borrowings. To solve this, the bankers had another ingenious idea, namely to issue debt and make the people pay the state interest on the debt they issued. What a clever idea by the bankers thought the king and queen. That means we can really issue limitless debt so that we and our rich friends get much richer and the people just get more indebted. But ordinary subjects will of course not understand the consequences. This was the most genius invention by the bankers. The more money, the nation borrowed, the more interest the state received. No one had ever thought about this before to issue debt and rather than pay interest on the debt to receive interest. This meant that the state could borrow unlimited amounts of money and the more they borrowed, the bigger the income. The inventions would keep the tea party (aka a Ponzi scheme) going for ever or at least until some little boy points out that there is no tea in the pot and the whole house of cards collapses. So this is the extraordinary story that Alice found in the modern Wonderland. She would soon experience that it will all end in disaster and that this time it wasn’t a dream but a real horror story. 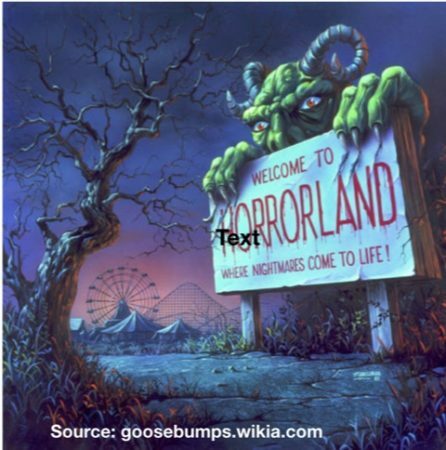 Thus it was no longer Alice in Wonderland but Alice in Horrorland. So here we are in the final stages of a journey that might seem to consist of “quaint events” today but are more likely to end up as horror stories. The current journey will not end well and there willl be no merry crew at the end of it. As I wrote in an article a few years ago, only Deus ex Machina can save this situation and I think that is unlikely to happen.